In 2014, the Ebola virus disease outbreak spread through West African countries. The Chinese Government took early action and initiated multiple rounds of aid, which so far comprises the largest and longest humanitarian and health aid initiative in China’s history. By the first half of 2015, the Chinese Government had delivered four rounds of humanitarian aid against Ebola totaling 750 million RMB of funding. The fifth round of aid, which focuses on post-Ebola reconstruction and long-term public health system strengthening, is ongoing. China’s fight against Ebola in Africa manifested the principles of “sincerity, real results, affinity and good faith” that guide China’s policy on Africa and China’s view on global responsibility and security as a major power. 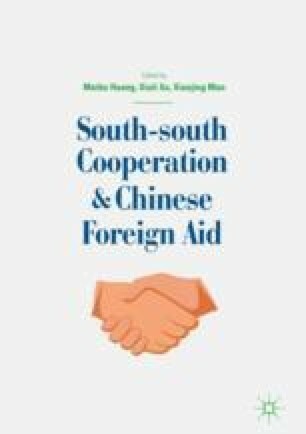 China drew on its experience during the Severe Acute Respiratory Syndrome (SARS) outbreak in 2003 and adopted a comprehensive aid scheme with “hard” and “soft” aid aiming at both long- and short-term goals, with relevant departments working closely together and adopting flexible measures. China also strengthened its coordination and cooperation with international partners, and attached importance to public communication and information disclosure. The following results were achieved: (1) China made a tremendous contribution to controlling the epidemic and local capacity-building while realizing the goal of zero infection of Chinese personnel; (2) by exerting the expertise and organizational advantage of military health institutions, China achieved greater effectiveness and efficiency and strengthened bilateral trust; and (3) China improved its biosecurity capacity and established an important platform for tropical infectious disease research and real-time monitoring of global infectious disease epidemics.